Own a Piece of Gold Rush History! In 1850, the California economy was in peril. Folks were clamoring for the U.S. government to establish a mint in the "City by the Bay" to strike their newfound gold into coins, but it wouldn’t become a reality for another four years. Instead, the government established an assay office in San Francisco. The following year, Augustus Humbert arrived from Philadelphia to strike octagonal ingots that, for all practical purposes, were coins. 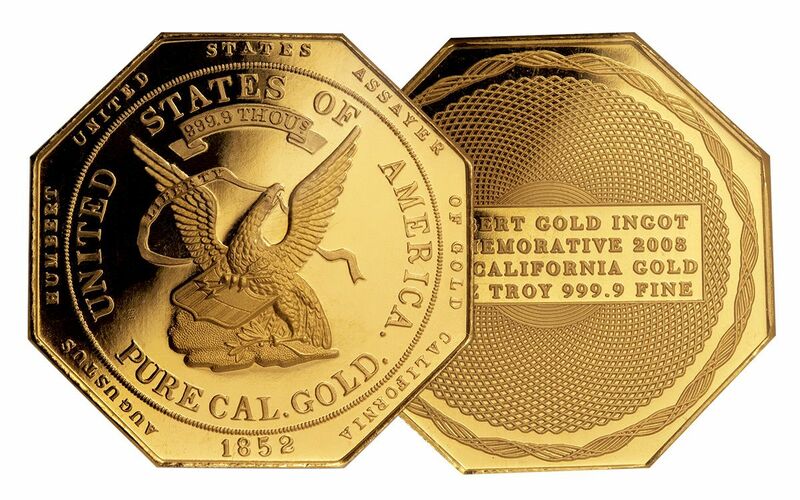 In 2008, the Humbert $50 octagonal slug was re-struck in 2.5 ounces of 99.99% gold. Six years after Humbert’s arrival, the paddle wheel steamer S.S. Central America sank in a violent hurricane off the coast of North Carolina. 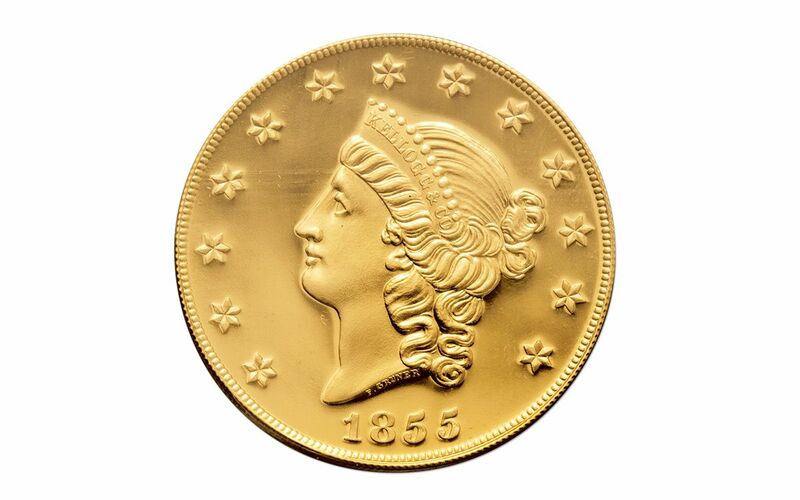 In her holds lay a vast treasure of California Gold Rush coins, including 1855 $50 gold pieces struck in San Francisco by Kellogg and Company. 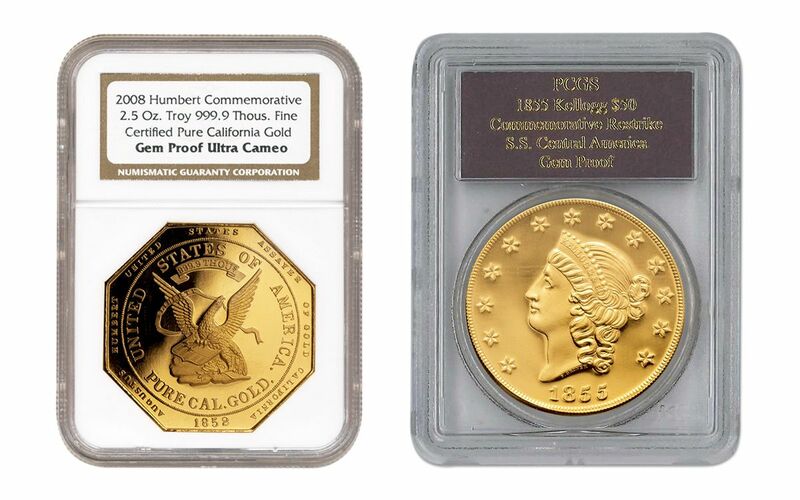 The gold wouldn’t be located until the 1980s, but found new life in 2001 when the California Historical Society minted $50 Kellogg restrikes containing 2.5 ounces of gold taken straight from the wreckage of the S.S. Central America. 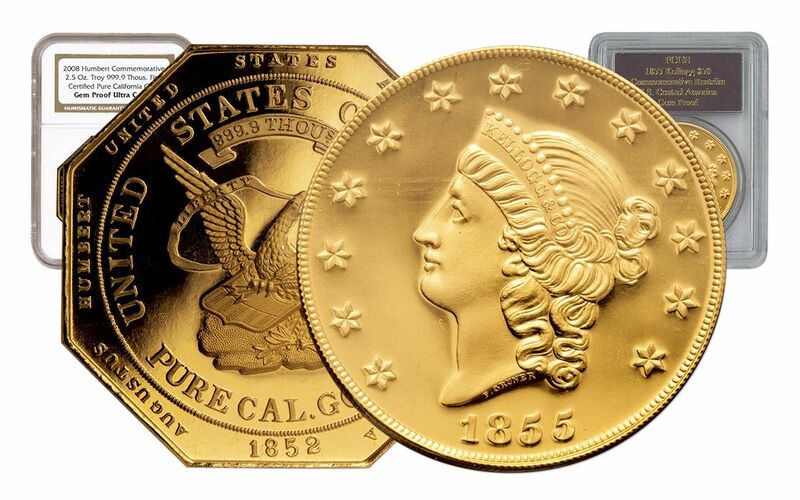 Now you can secure both of these historic Gold Rush restrikes in a single set!